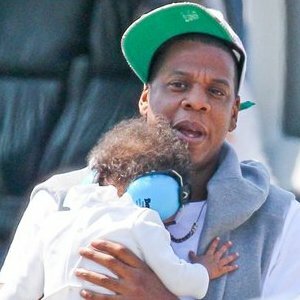 As a long time Jay Z fan.. nothing in his career has made me happier than seeing him father Blue Ivy. Jay for years has talked about how the lack of a father in his life shaped a lot of his behaviors and choices and how he would be the best father he could when his time came around. 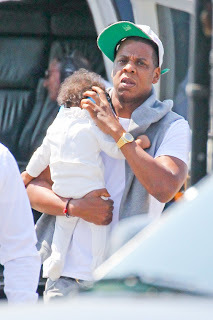 Well it has come and the world seems to be in love with watching the street poet from Brooklyn, who may be a little rough around the edges, turn into a Daddy! 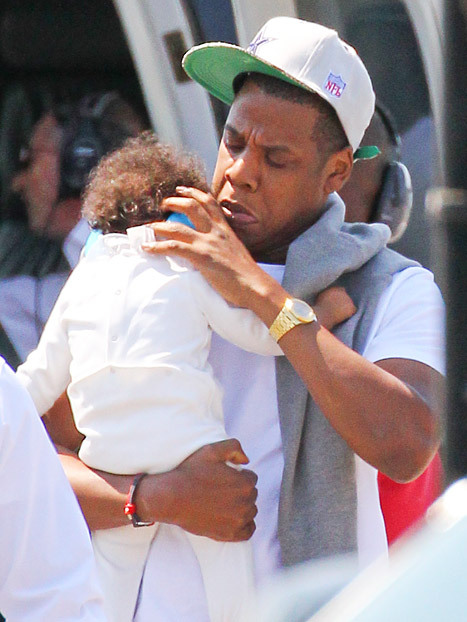 I love these pics that made rounds yesterday online of Jay & Blue getting off of the jet together! Look at her headphones and all of that sandy red hair!! #HelloBlue! boy jay z is not attractive in the face but it is something about him!